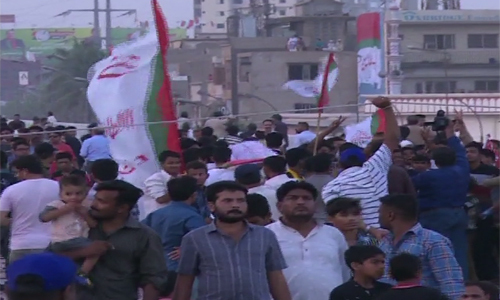 KARACHI (92 News) – Muttahida Qaumi Movement (MQM) chief Altaf Hussain has said that their opponents are nervous about the popularity of the MQM. He said that they will offer sweets, not beating, to the PTI people on April 23. “We will talk about love, brotherhood and shaking of hands,” he said. He said that the PTI is a branch of Taliban, while the Jamaat-e-Islami is a sub-branch of al-Qaeda. “We should neither be considered strangers nor be accused of being foreigners,” he said. 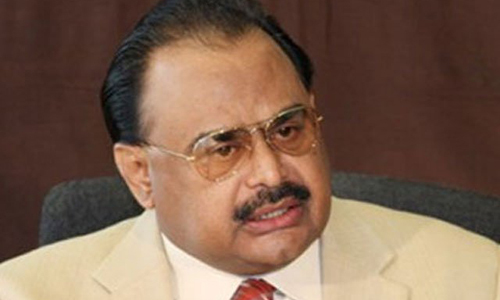 Altaf Hussain said that secured return of IDPs should be ensured. He said that Pakistan should summon a meeting of the United Nations over the Kashmir issue. He said that the prime minister should apply ointment on the ‘wounds’ of the Balochs. “We need friends in the region, not foes. We need trade, not a war,” he maintained. Altaf Hussain said that people should make themselves successful and they would get Pakistan include in the European Union. He said that the sun of April 23 would bring a victory for the followers of truth. Farooq Sattar congratulated MQM candidate Kanwar Naveed Jamil in advance.